Mazda breaks new ground with in fuel economy with the new 2012 Mazda Mazda3 that will get 40 miles per gallon with a new technology called Skyactiv. 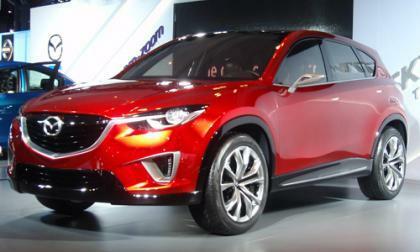 Skyactiv will also be applied to the Mazda CX-5, a future smaller crossover, and will help define Mazda's future designs. Mazda made the announcement at the New York Auto show, also releasing plans for diesel in the U.S. 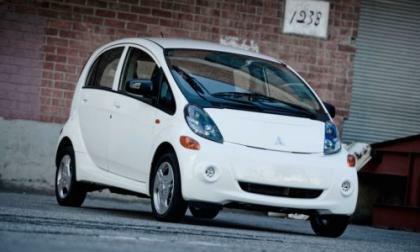 Though Mitsubishi is a late arrival in the electric vehicle market, there’s a chance the Mitsubishi i was worth the wait. The company made pre-ordering available today (Earth Day) for a competitive electric vehicle costing only $20,490 after tax credit and capable of charging to 80 percent in 30 minutes via a level three input. 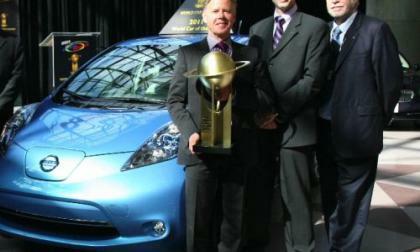 At a press conference hosted by Bridgestone, the New York International Auto Show (NYIAS) named the Nissan Leaf the 2011 World Car of the Year. 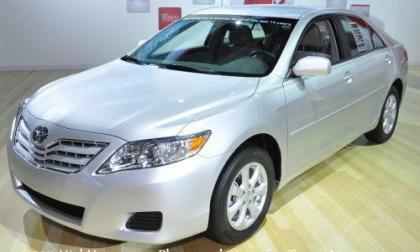 It was chosen from 39 new vehicles worldwide, and edged out the Audi A8 and the BMW 5 Series to take the award. The 2011 Chevrolet Volt was named the 2011 World Green Car by a globe-spanning panel of automotive journalists at the New York International Auto Show (NYIAS). 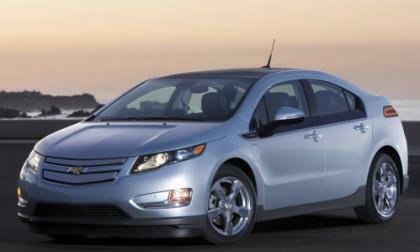 The Volt was chosen from a field of 12 new vehicles from around the world, shortened to three finalists. The Chevrolet Volt, edged out the BMW 320d Efficient Dynamics Edition and the Nissan Leaf for this honor. 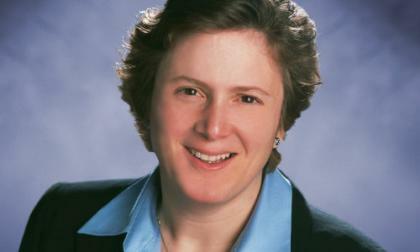 Elena Ford, director of global marketing, sales and service and great great granddaughter of company founder Henry Ford plead guilty yesterday to charges of drunk driving after an April 3rd incident in Ferndale, Michigan. 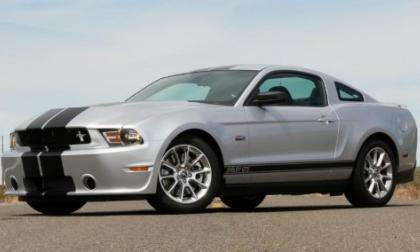 The folks at Shelby American have been promising an exciting display at the 2011 New York International Auto Show with help from the 2012 Shelby GT500 Super Snake with 800 horsepower but in addition to that high powered (and high dollar) Super Snake, the legendary car-builder used the Big Apple show to introduce the 2012 Shelby GTS Mustang. WIKISPEED, the Seattle-based team developing ultra-efficient road vehicles, announced the company will publicly demonstrate the Alibre-designed SGT01, a vehicle that can deliver more than 100 miles per gallon, at the Earth Day celebration at Future of Flight Aviation Center & Boeing Tour. 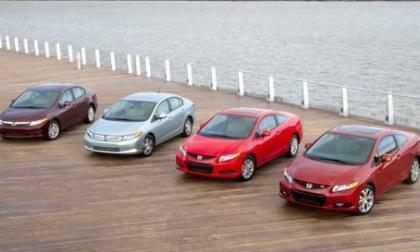 It is now the ninth generation of the iconic Japanese sedan, and the Honda Civic for 2012 comes in a growing family of siblings. There’s the usual gas-powered Civic Sedan or Coupe many have come to know and love, plus the high-performance Civic Si Coupe, Civic Hybrid, Civic Natural Gas and Civic HF, a fresh new high fuel economy model. 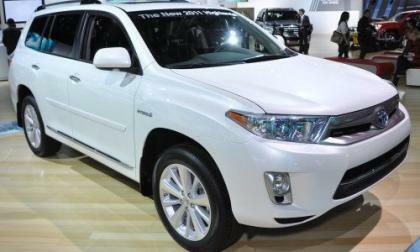 All are now being shown at the New York International Auto Show. Lankes-Auktionen im Schloss, a German auction house in the Bavarian town of Doehlau, will offer a one-of-a-kind Bugatti, 8 cyl. series 57, found under a pile of lumber in a barn. 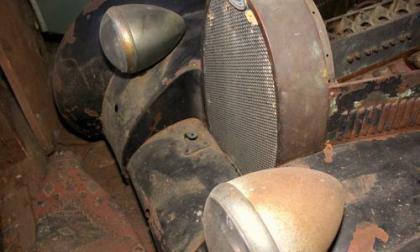 This automotive jewel needs complete restoration, but the engine and many original parts are still there. The auction will be held just before the famous Mille Miglia race on May 11 in the Museum Mille Miglia at 5 p.m., one day prior to the race. Toyota has announced a new voluntary recall of 308,000 SUVs from the 2007-2008 model years over fears of airbags either not working in the event of certain accidents or, in the worst case scenario, opening without reason. 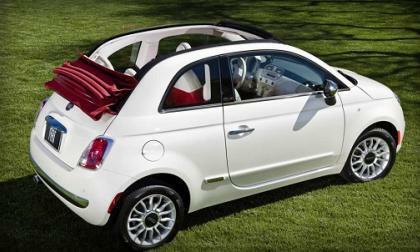 Fiat today unveiled the 2012 500c Convertible car at the 2011 New York Auto show with two models: the Pop and Lounge. During their press conference yesterday at the 2011 New York International Auto Show, Chrysler CEO Francois Olivier introduced a trio of new trimlines for the Chrysler 300 sedan and included in that group is the new 2012 Chrysler 300 S – the full sized sedan that will introduce consumer America to the 8-speed automatic transmission. 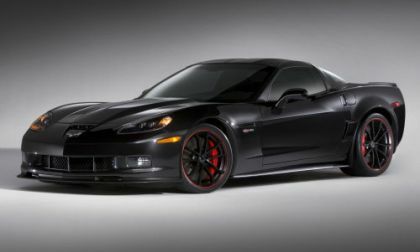 The 2012 Chevrolet Corvette Centennial Edition was the first indication of changes to the 2012 model year Corvettes but thanks to a forum post by a Montana-based Chevy dealership, we now have a very clear look at the changes coming to next year’s Corvette. Toyota has announced that their North American production facilities will continue operating with a 3-day-a-week schedule until at least June 3rd, with future production up in the air based on the availability of parts from Japan. 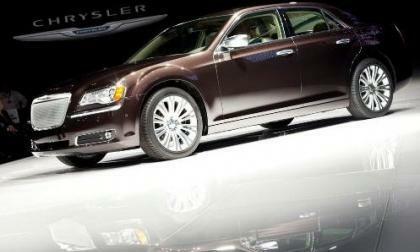 Amidst a Detroit-based choir belting out their own version of Eminem’s Lose Yourself on stage at the 2011 New York International Auto Show, Chrysler CEO Olivier Francois introduced the 2012 Chrysler 300C Executive Series – a vehicle which the company head claims is “the most luxurious Chrysler flagship sedan ever”. As part of the "AMG Performance 2015" model strategy, the high-performance E-Class now features the new 5.5-liter V8 bi-turbo engine, producing up to 550 hp. 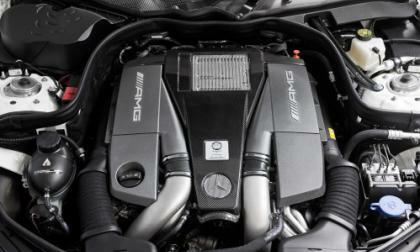 The 2012MY E63 AMG goes on-sale in the U.S. this Fall. 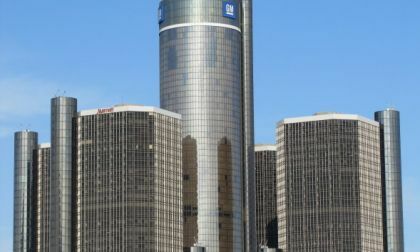 If published reports are correct, the plan by U.S. Treasury to sell "a significant share" or "big chunk" of its remaining stake in General Motors as early as this summer, would result in a net loss to taxpayers. 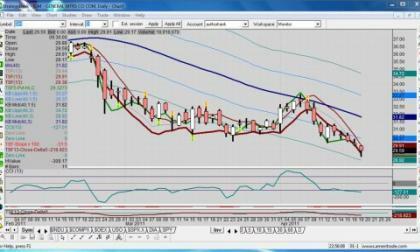 It has been the subject of rumor and conjecture for the last couple years under a variety of names and designations. 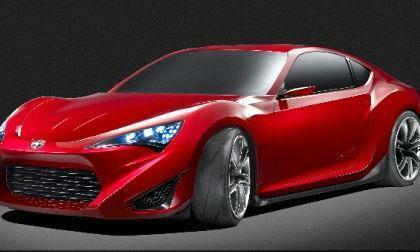 The Scion FR-S is something youthful car enthusiasts have been waiting for and today it was revealed at the New York International Auto Show (NYIAS) and will be on display through May 1. 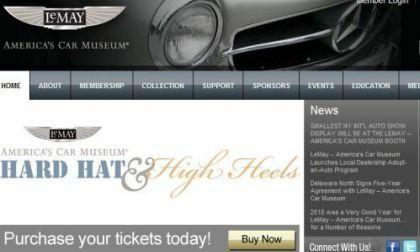 Despite beginning construction in the dire economic conditions of June 2010, the primarily philanthropically funded American Car Museum (ACM) is three-quarters completed and on track for a grand opening May 19, 2012. On a nine-acre campus, the institution will preserve and reveal the romantic and recurring rendezvous between America and the automobile. 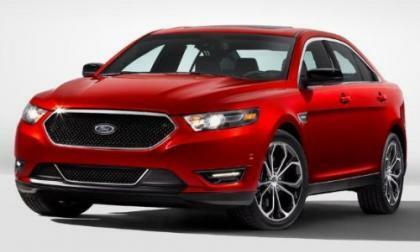 Today at the 2011 New York International Auto Show, Ford Motor Company rolled out their revised 2013 Taurus sedan, sporting a new front fascia, a bolder lines and a new turbocharged entry-level engine. 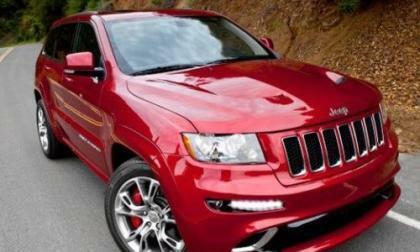 We have known for months that a high performance Jeep was on the way thanks to testing shots from Germany’s Nürburgring and as the 2011 New York International Auto Show opened to the media this week, the world was formally introduced to the 2012 Jeep Grand Cherokee SRT8. 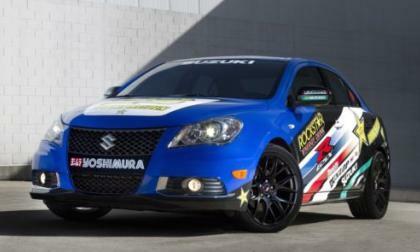 At a press conference last night, American Suzuki Motor Corporation (ASMC) unveiled a gas-electric variant of the Kizashi sedan as well as a turbocharged 275-horsepower version at the 2011 New York International Auto Show (NYIAS). 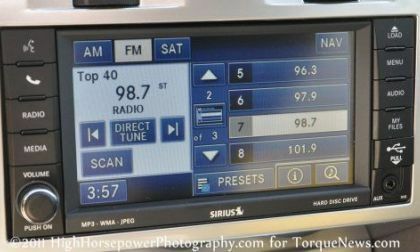 Thereby Suzuki showed not only environmental concern, but a corresponding dedication to those who feel the need for speed. 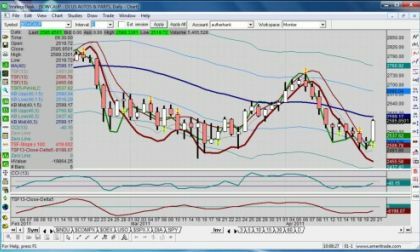 A weekly chart of the Dow Jones US Autos and Parts ($DWCAUP) shows major segments of the auto stock sector following the general market’s downward direction; in this case, testing the 40 week moving average, but rising on Wednesday morning‘s open as noted on the daily chart. 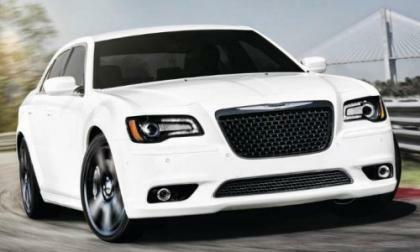 Today as the 2011 New York International Auto Show opened, the Chrysler Group introduced their newest high performance luxury car as the 2012 Chrysler 300 SRT8 met the world. Shanghai Motor Show witnessed yet another presentation as Bentley unveiled its new Continental GT, which comes with more space and i-pad connectivity. In remarks prepared for delivery, Dan Akerson, Chairman and CEO of General Motors Company (NYSE: GM), delivered the keynote address at the National Automotive Dealers Association/IHS Automotive Forum in New York. Among his many statements, he noted GM’s higher throughput and profits from the streamlined dealer network, but GM stock still traded lower and closed at 29.59. 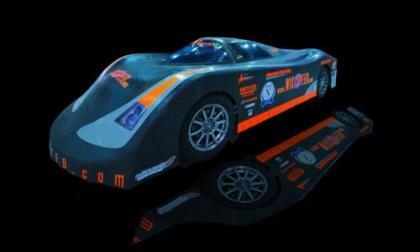 The quest for land speed has been one of mankind’s perpetual pursuits since the dawn of time. It has gone from the preservation of life to a battle against the forces of nature – air resistance, traction, friction, lift and propulsion. 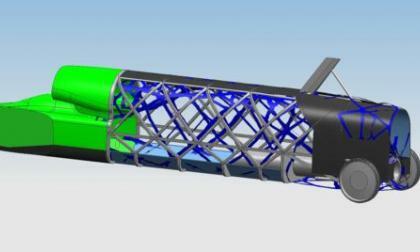 To that end the Bloodhound SuperSonic Car (SSC) team has employed the HyperWorks suite of computer-aided engineering tools in the development of its jet and rocket powered car. A lot of public service spots are aimed at getting drunk drivers off the streets for valid reasons. Yet, authorities will state drunk driving is just one form of distracted driving and some of the others can be just as dangerous to the driver and others. A recent study suggests the worst of us are distracted two thirds of the time we spend behind the wheel. It’s all about pushing the envelope of fuel-efficiency to its maximum limit. 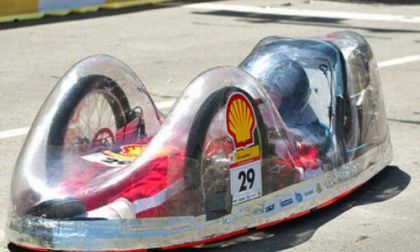 In the fifth year of the Shell Eco-marathon, students from the U.S. and Canada convened in Houston for a two-day event to design, build and test fuel-efficient vehicles that travel the greatest distance using the least energy. 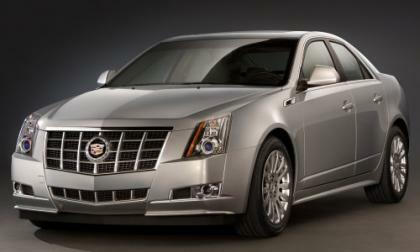 General Motors has released information on the 2012 Cadillac CTS Sport Sedan, Sport Wagon and Coupe with the big news being the addition of some extra power in the 3.6L V6 without compromising fuel economy – although this powerful V6 will not be offered with a manual transmission to go with the new power.